PERFECT FOR BACK TO SCHOOL !! 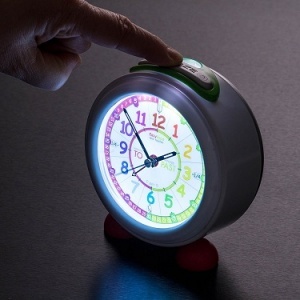 THEY'LL FEEL ALL GROWN UP WITH THEIR OWN ALARM CLOCK !! 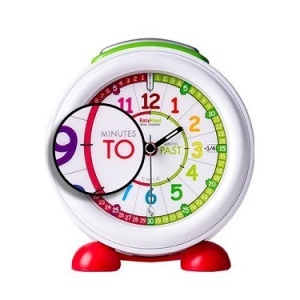 The newest addition to our Time Teaching range has arrived...just in time for the new school year!!! 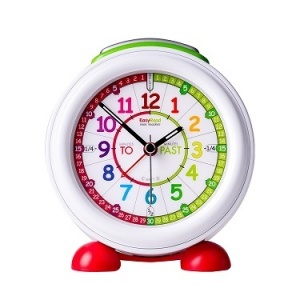 This EasyRead Children's Alarm clock is perfect for every child’s bedside table. With its red boots and coloured hat it will become your child’s bedroom friend, and help them learn to tell the time too. 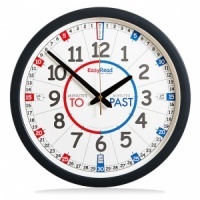 The unique EasyRead time teaching system reduces instruction to just 3 steps; simple to learn and easy to remember. 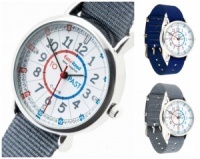 The Alarm Clock comes with a simple step-by-step teaching method, consistent with other EasyRead Time Teacher clocks and wrist watches. 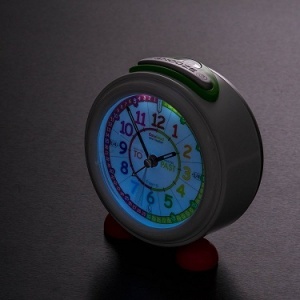 The clock has a nightlight feature that automatically turns itself on as darkness descends and turns off again at dawn. 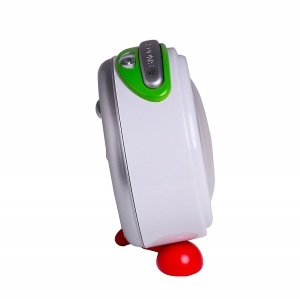 Throughout the night the face emits a reassuring glow that helps kids who are scared of the dark and makes it easy to tell the time without turning a light on. For a brighter light simply press the snooze button. 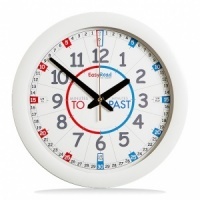 The clock has a crescendo alarm which starts gently and gets louder and louder until it’s impossible to ignore. It has the standard snooze feature that gives an extra 5 minutes lie-in and repeats each time you press the snooze button until you turn the alarm off. 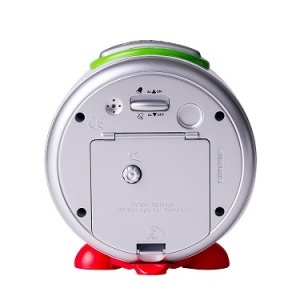 The clock takes 3 x AA batteries (not included). Invaluable 3 Step Teaching System for schools. 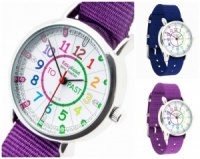 Help your child to learn to Tell the Time.